Hello friends, Gina here. 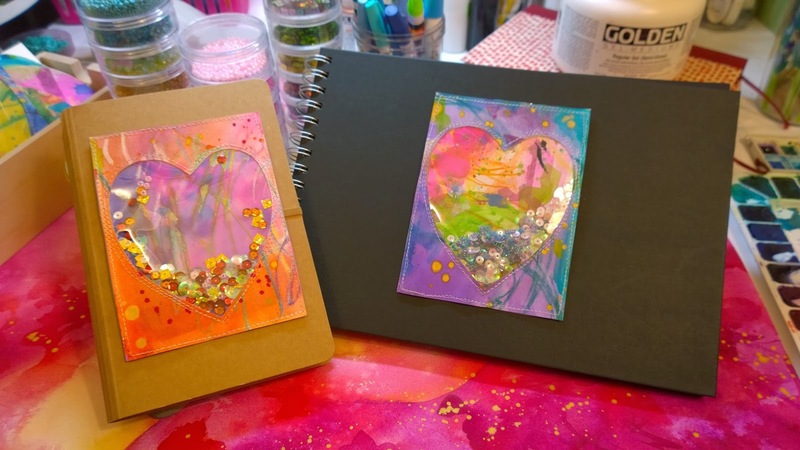 The Sketchbook Challenge theme for this month is "windows" and I thought, why not make cute pocket heart windows to decorate the cover of my sketchbooks! 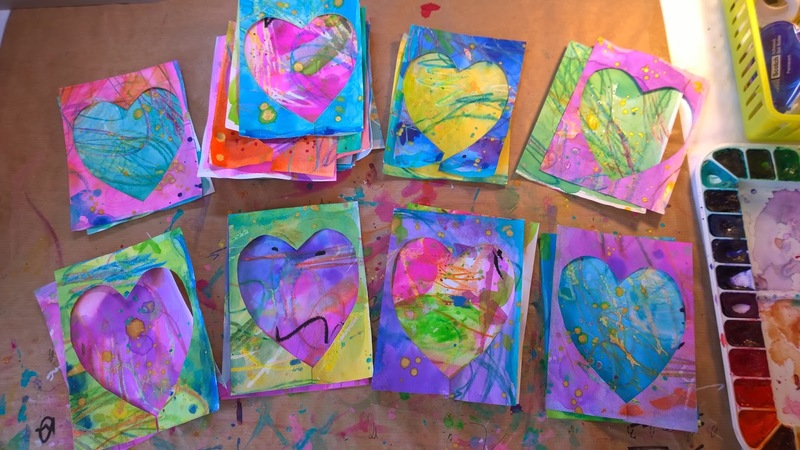 Truthfully, after making valentine cards for my son's preschool last week, we had plenty of heart-shaped cut outs that were begging for some repurposing. 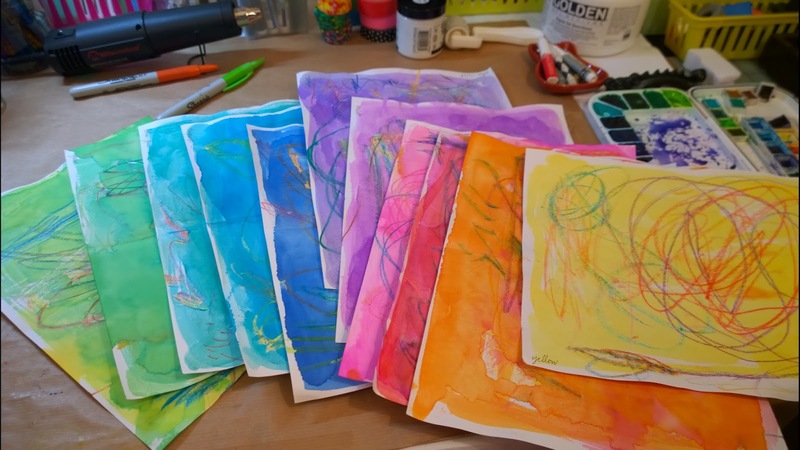 I began by tearing out several sheets of blank sketchbook paper to be served as colorful abstract backgrounds. 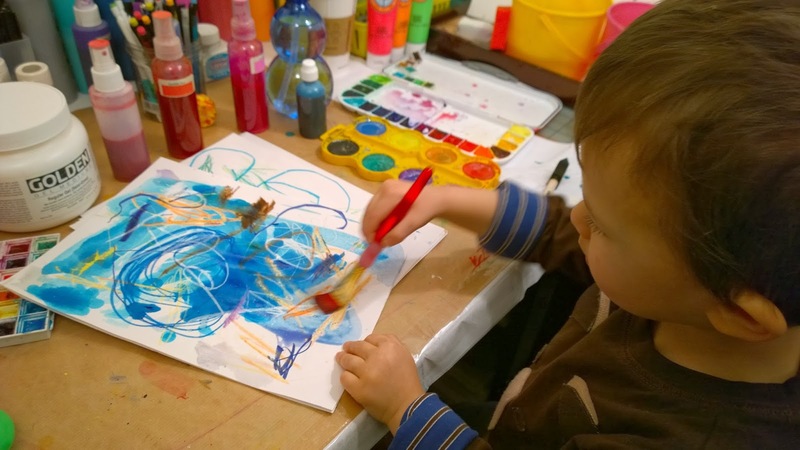 My studio assistant helped me watercolor over random pencil scribbles and crayon resists :). TIP: I often devote the last several pages of my journals for beautiful abstract messes, in which I wipe/clean off extra paint from my brushes or fingers as well as test drive my pens or pastels. I then paint the entire page with watercolor. 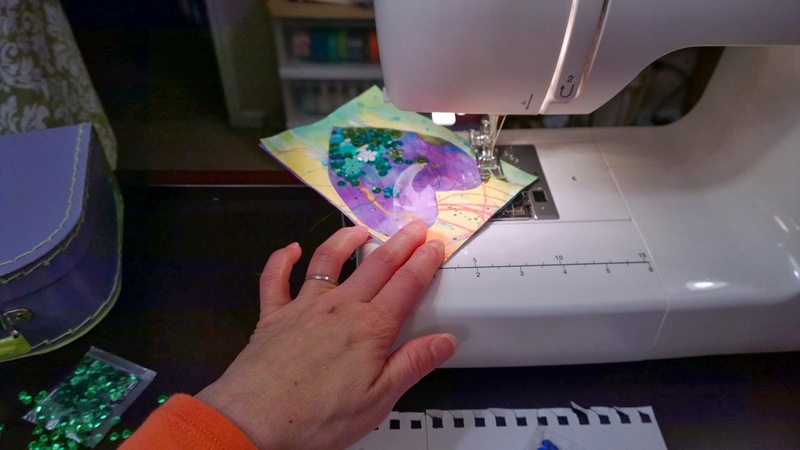 These pages become a rich cache of personal "scrapbook paper" to cut and collage with. 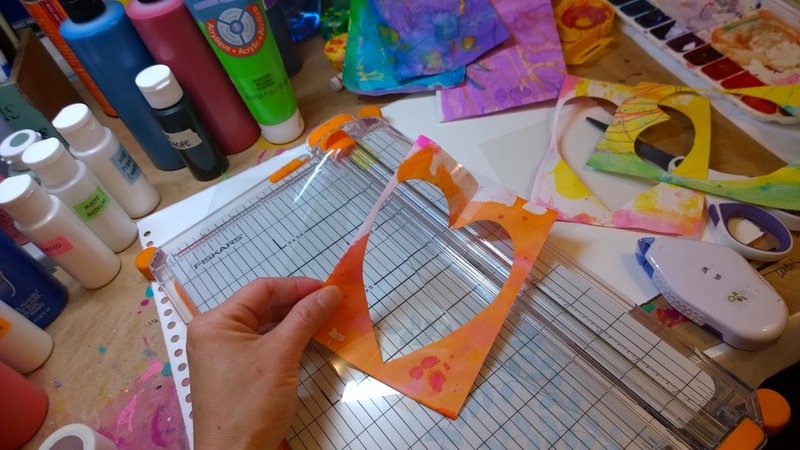 The transparent sheets I used here were recycled plastic film from toy packaging, but you could use Dura-Lar acetate alternative. I carefully straight-stitched around the heart (but left an opening on top). I added sequins and glitter. TIP: try not to sneeze at this point. 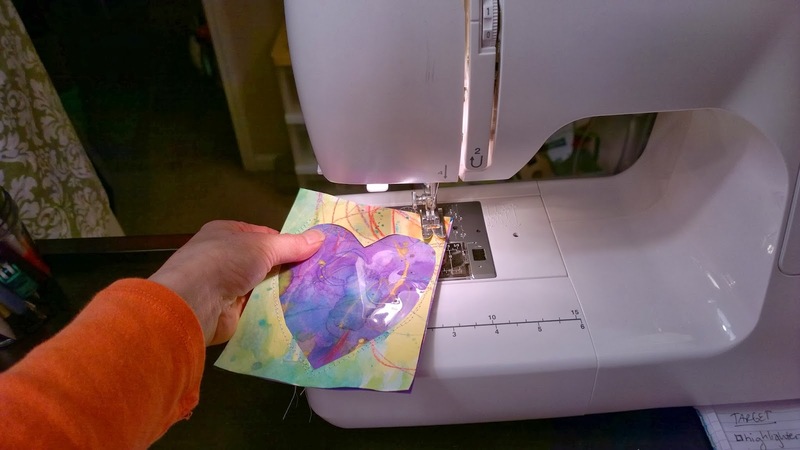 I sewed the heart pocket closed as well as finished off the edges. 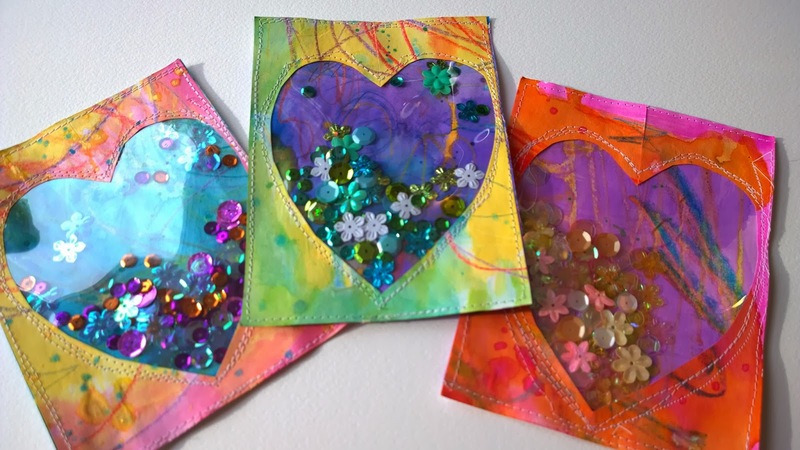 These pretty pocket heart windows are ready to glue onto your journal covers. Dion Dior here, the February theme of Windows is definitely a good one for sketchbook inspiration. 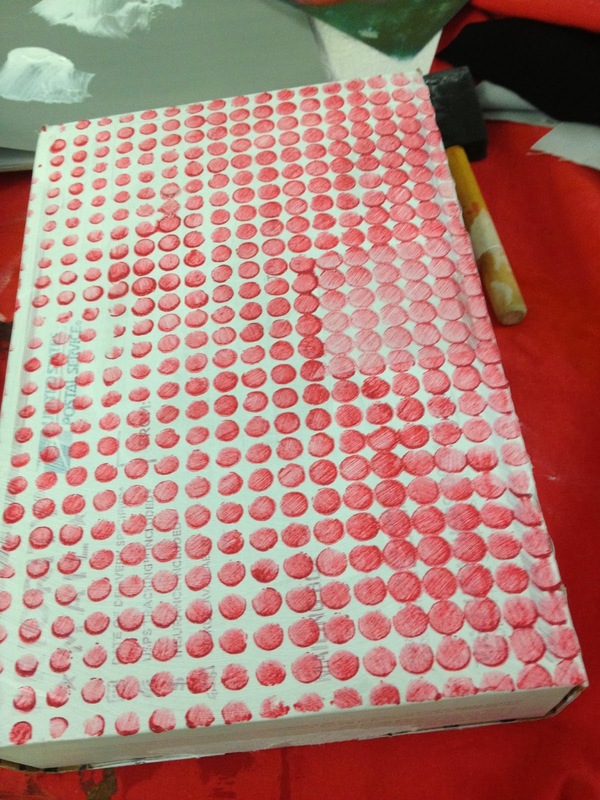 People keep sketchbooks for some many purposes, but there are always times when it is difficult to find inspiration. It's winter in the Northern Hemisphere right now and that makes it sometimes very hard and uninspiring. If you live in a snow covered area, you'll understand what I mean. But it is at this time of year that we can exercise our sketchbook imagination in so many ways. I love to sketch windows and then show a scene of some kind through it. Sometimes I sketch what I see, other times I sketch what I wish I was seeing. It's a wonderful way to practice your drawing skills and also to explore new media and techniques. I have sketchbook pages filled with window scenes. I often scour the internet for a picture of a great window aspect, then I find something that I think would be great to look out on. I sometimes find myself filling the walls of my scene with inspirational quotes, personal writing, or just mindless journaling. It's very enlightening and hugely enjoyable. This sketchbook page was done in water soluble ink and watercolor in a Stillman & Birn "Epsilon" series sketchbook. What are you looking at through your window? 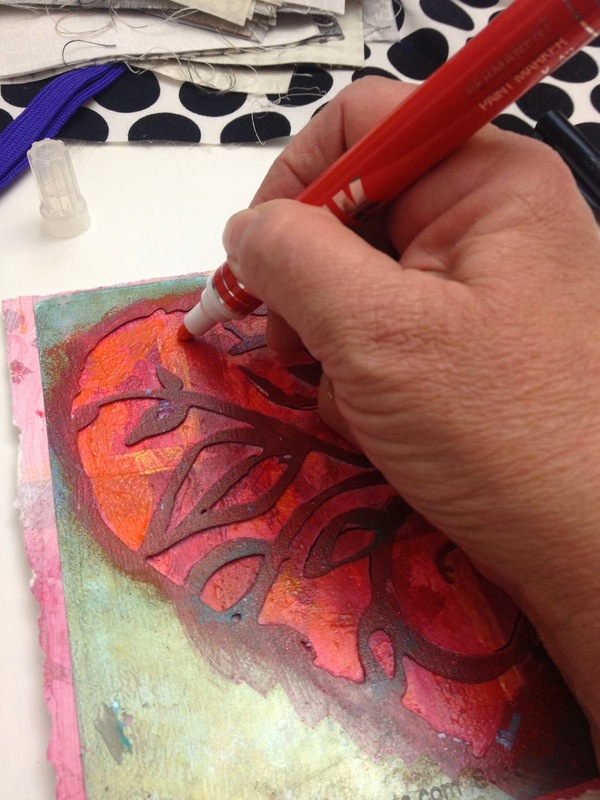 Don't forget to post images of your "Window" sketchbook pages in the Flickr group and tag it with this months tag Feb257 so it can be included in the end of month slide show. This is a picture of the town where I live in Hampshire UK., this is a fairly new development on a piece of land near the station. It caused an initial stir due the bold colour scheme. Lots of windows as you see. 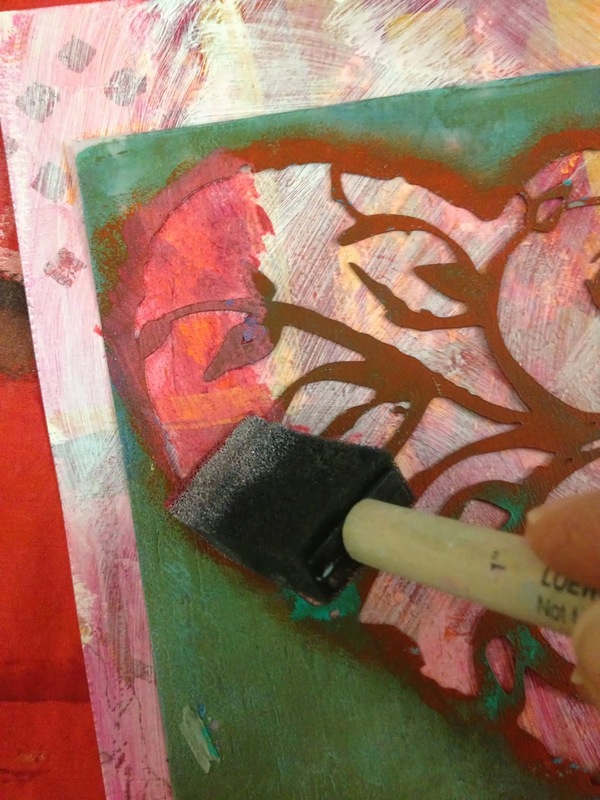 I started as before with stencilling using rug canvas and other bits and pieces. I tried spray painting but I never have much luck with that and usually make a mess. Practice on scrap paper was nice and I decided to collage it in. 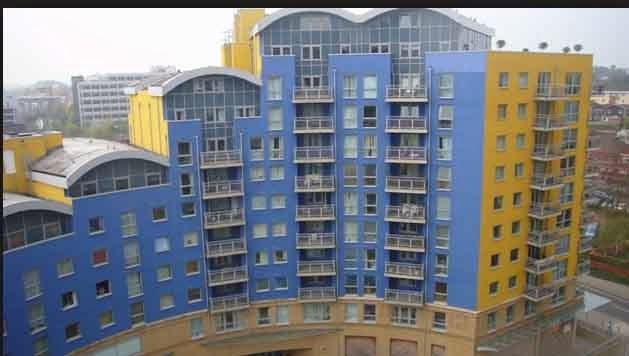 On the computer I then traced the image of the colourful block of flats. I printed the tracing out on film for the inkjet , being careful to use the correct setting in the printer dialogue box. 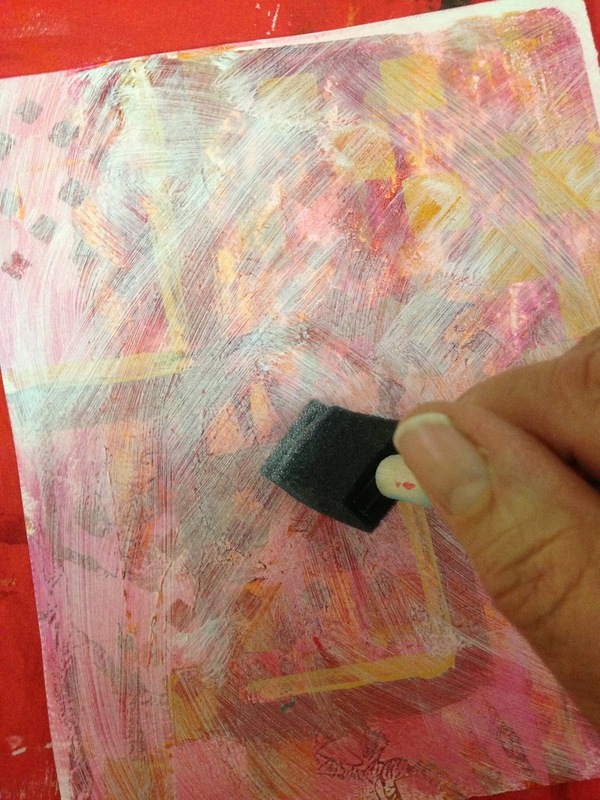 Then I stuck down the side edges of the acetate film over my stencilled and collaged image. Don't forget to tag your images on Flickr for this month's challenge so they appear in the slide show - tag feb 257. 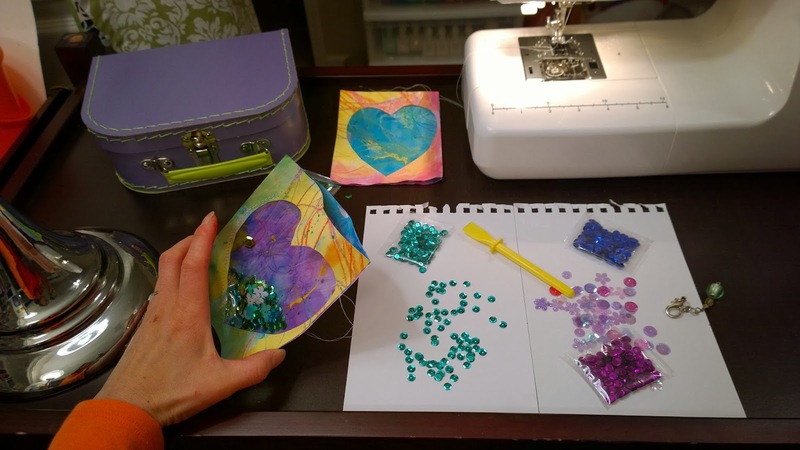 "Window" To My Heart: Leslie & Jamie Create Valentine Boxes! 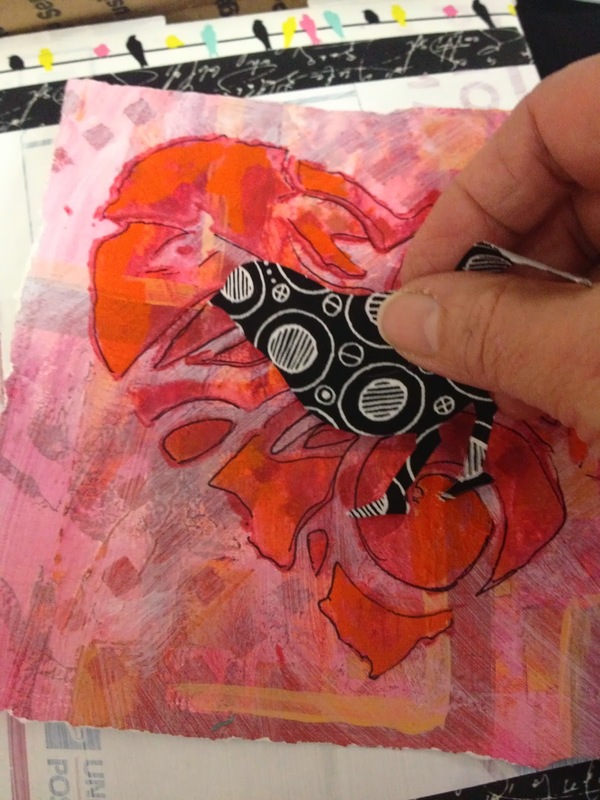 I have a huge stash of collage papers, color laser copies of my work, and paper collages. 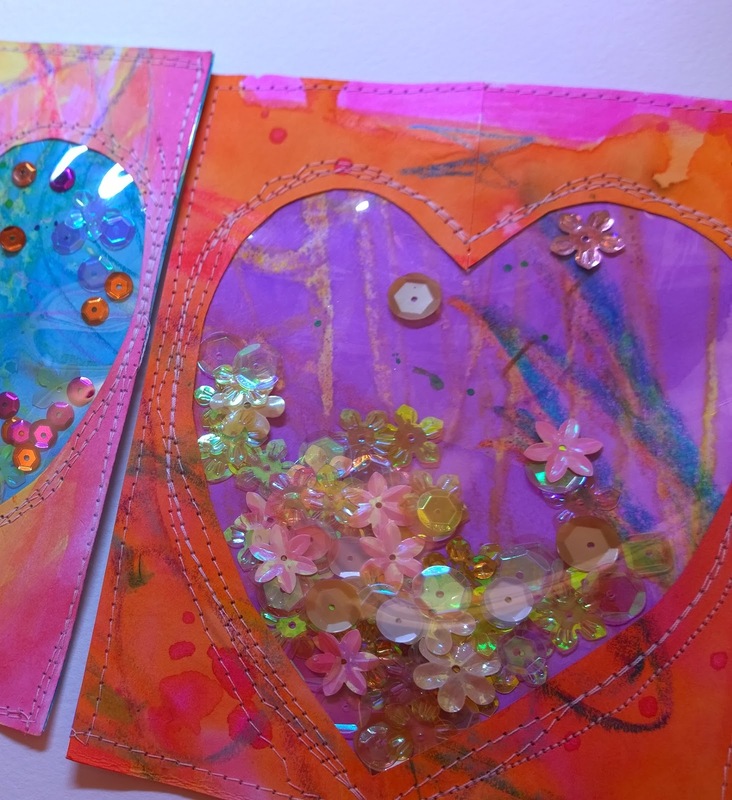 I have used these in a variety of ways in other pieces of mixed media books, etc. 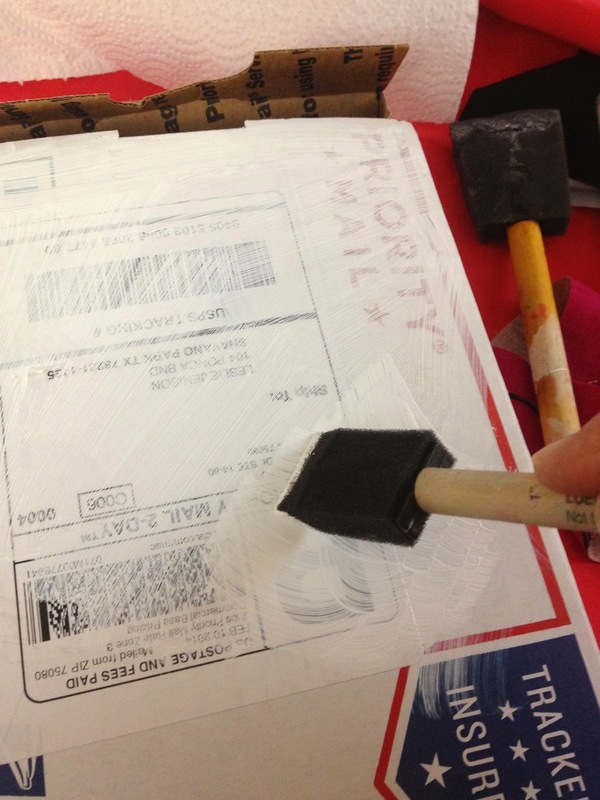 I am one-by-one applying Liquitex Matte Medium with a brush to the box first, then putting the paper on. I also added some Washi paper too, because the colors are so vibrant. This is the back of the box. Here is the front of the box with the shelf. 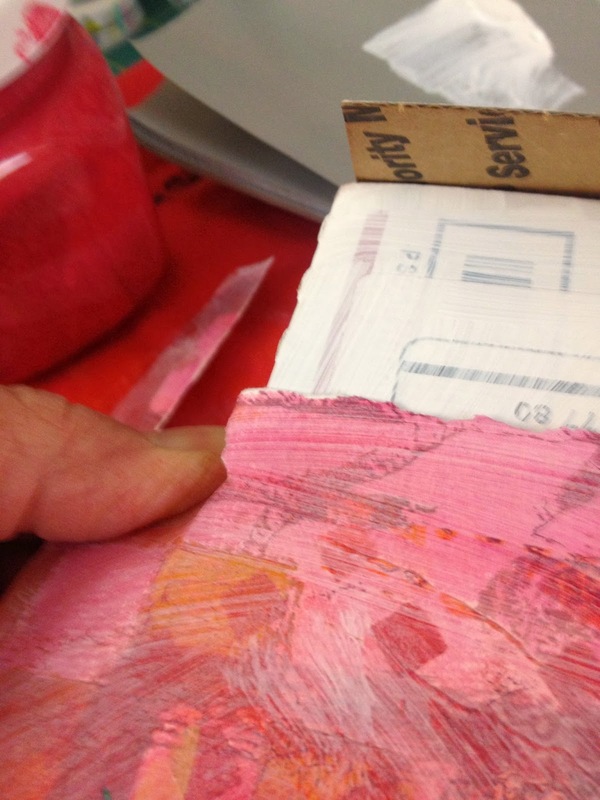 I have collaged newspaper print all around the box, which basically covered all of the painters tape. I like how newspaper text adds interest to a piece, even though not all of it shows, but the parts that do, are fun. 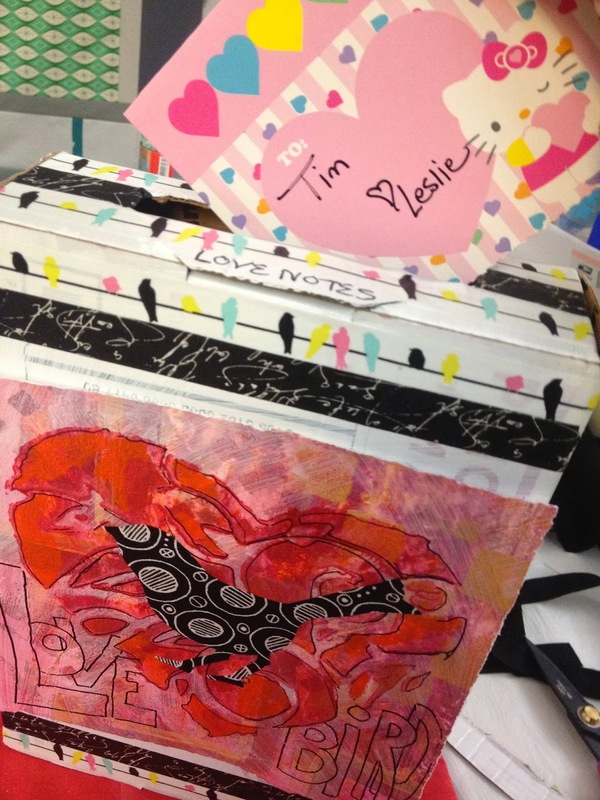 Front of box with hearts. Love is in the air! Leslie here. Happy Valentine's Day! 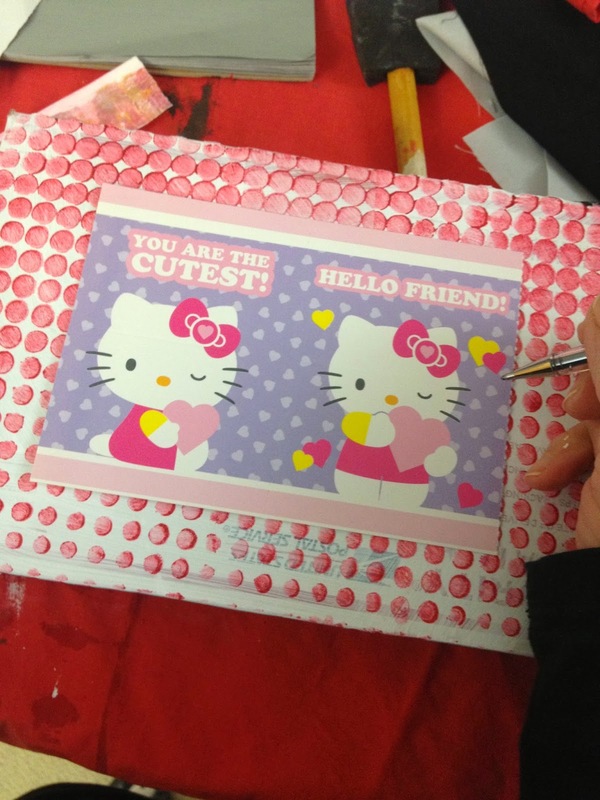 Remember how much fun it was to decorate a box and take it to school for the Valentine's Day party? Jamie and I thought it would be really fun to revisit our childhood and make another box for this occasion. 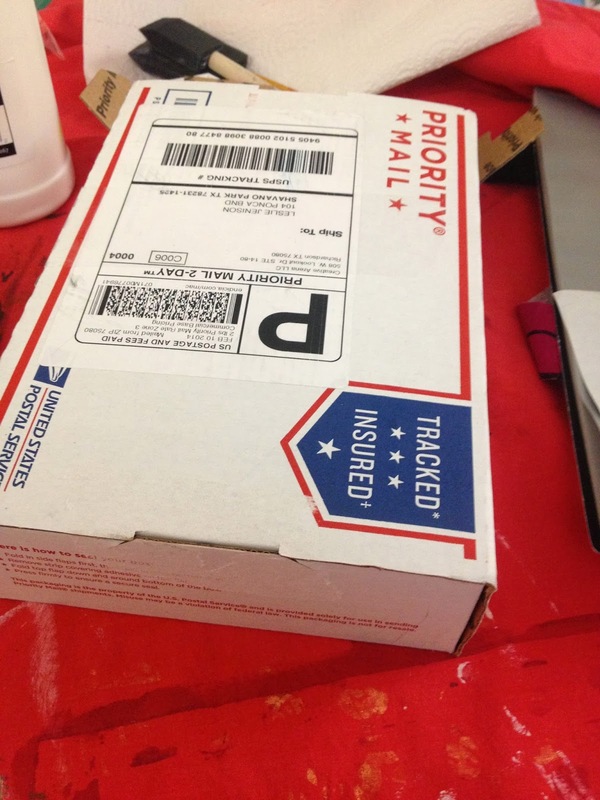 I decided to use a USPS Priority Mail box that recently came to me. I covered the box with a light coat of white paint. 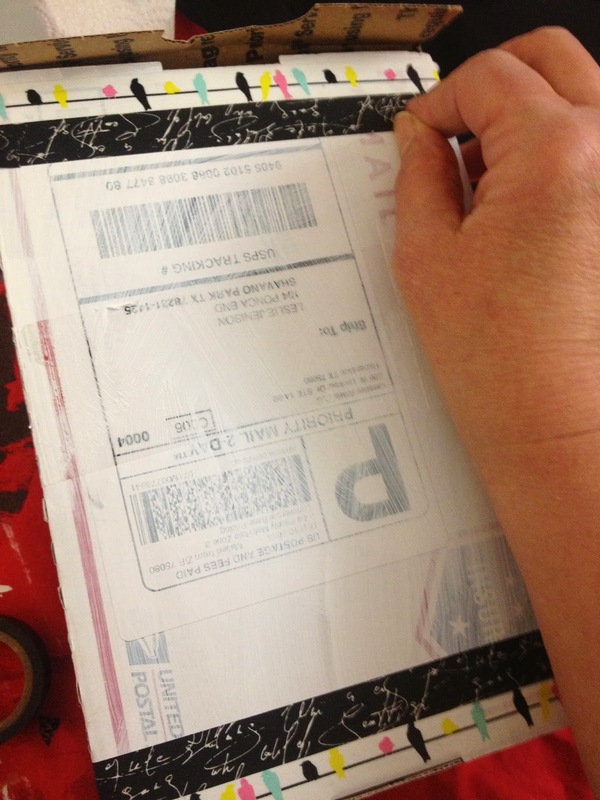 I like the printing on the box to show through. I took an old piece of painted watercolor paper and covered it with a light wash of white paint. I like the faint "read-through" of the background. 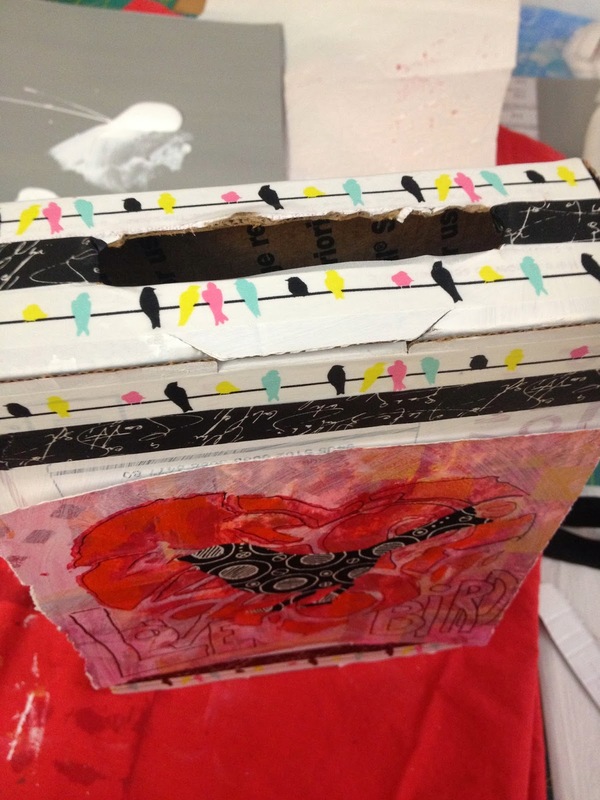 Using another stencil (Fade Horizontal by Michelle Ward) I lightly covered the back of the box with more paint. 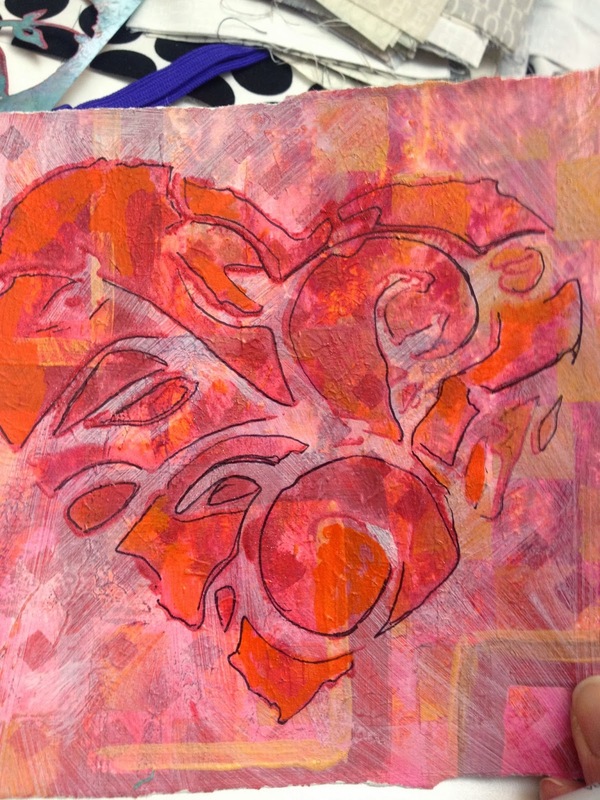 I tore the edges of my stenciled heart page. 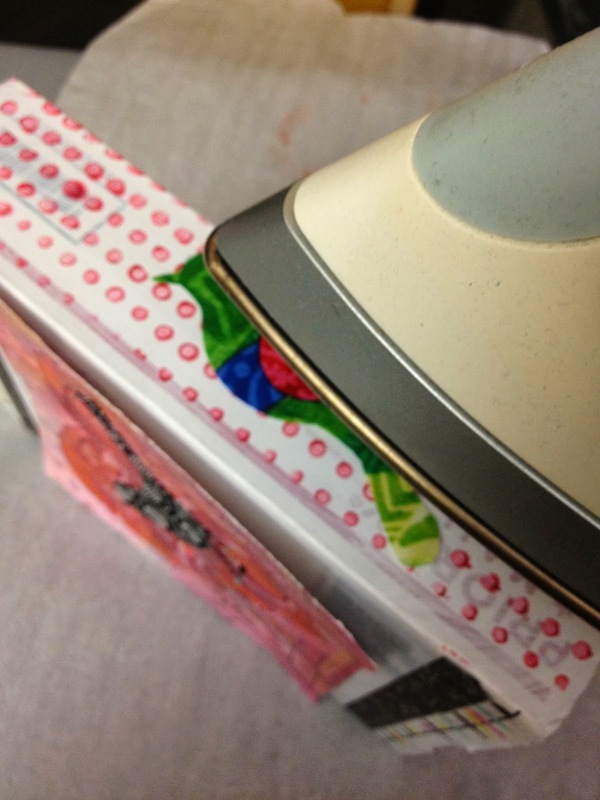 Two layers of washi tape on the top and bottom of the page add another design element to the box. To further enhance the shapes inside the heart I used a sharpie to outline the elements. 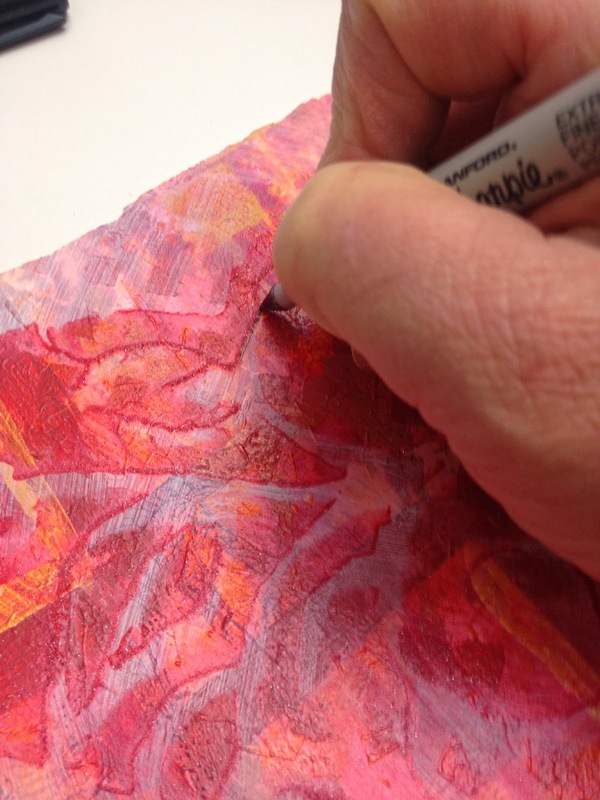 I decided to mottle the paint color a bit by adding a warmer pink with marker in a few spots. 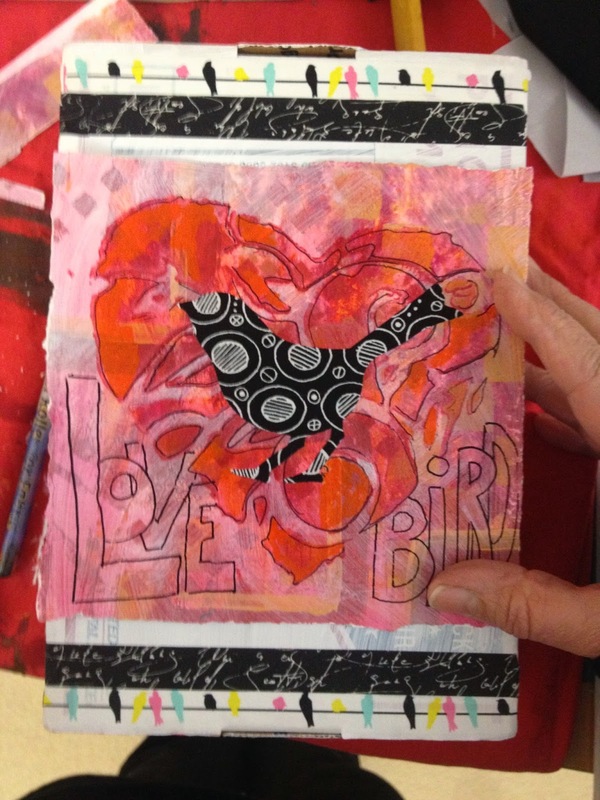 Next, I fused a die-cut bird over the heart. 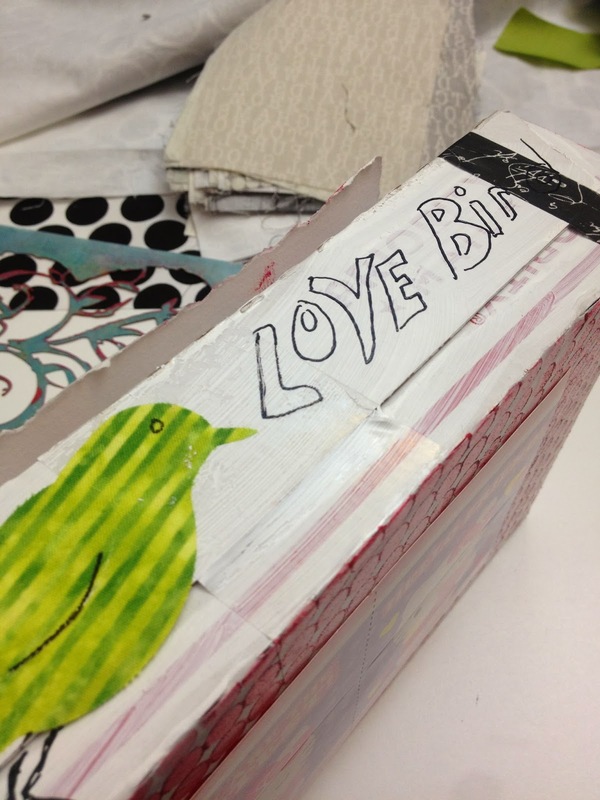 My "Love Bird" design is glued to the front of my box. Because I like the birds so much I fused one on each side of my box. Here is my finished box. I guess I'll send my Valentine, a card!